Yamaha R15 is one of the popular bikes. It holds the attention of the bike lovers. The best part about the Yamaha Bikes is that it is manufactured with the powerful Engine, i.e. it has the latest 155cc single-cylinder which possessed the liquid-cooled engine. In addition to this, it is mated with a 6-speed gearbox, and it also consists of an assist slipper clutch. Yamaha R15 V3 motor is able to generate a 19bhp of power and 14.7Nm of peak torque. 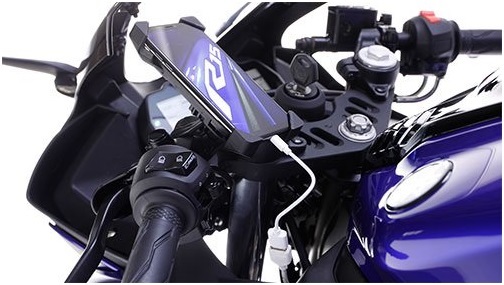 The compression ration of the Yamaha R15 V3 is also increased. The engine of the bike is also an updated one. In this new model, the addition of the Variable Valve Actuation is also done by the manufacturer. It will keep on assisting you about the fuel consumption. Variable Valve Actuation is an additional feature added by the manufacturer that helps to update about the fuel consumption. The seat of the Yamaha R15 is highly comfortable. It has been extended to 800mm to 815mm. Th wheels of the bike are also modified for better stability. This bike is also come up with unique color combinations which are the centre of attraction for the bike lovers. The fuel tank of the bike is also large, i.e. 11 L. Moreover, it also contains Hydraulic Single Disc for both Front and Rear Brake. It is designed with advanced Headlight LED, and Tail Light LED. It is one of the best Yamaha bikes as its price is also reasonable. 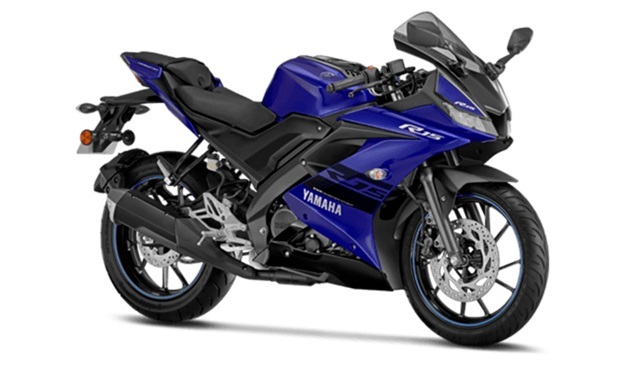 Yamaha R15 Price starts at Rs. 1.35 Lakh. The extraordinary features offered by the company are negligible in front of the cost of the bike. It is undoubtedly giving tough competition in the market. It one of the most selling bikes in India. Its performance and design are modified up to a great extent. It comes up with the latest features.